We all do it. We reply to texts, check emails, watch vines, reblog photos and even shop from our phones while we’re in class. If we’re not on our phone, we’re using our laptop. If we’re not using our laptop, we’re checking our watch. Is it wrong to do this? Is it right? Is it inevitable? Is it a sickness of our generation? I don’t have the answers to questions like these, but I heard an interesting take on this topic from a teacher’s perspective. 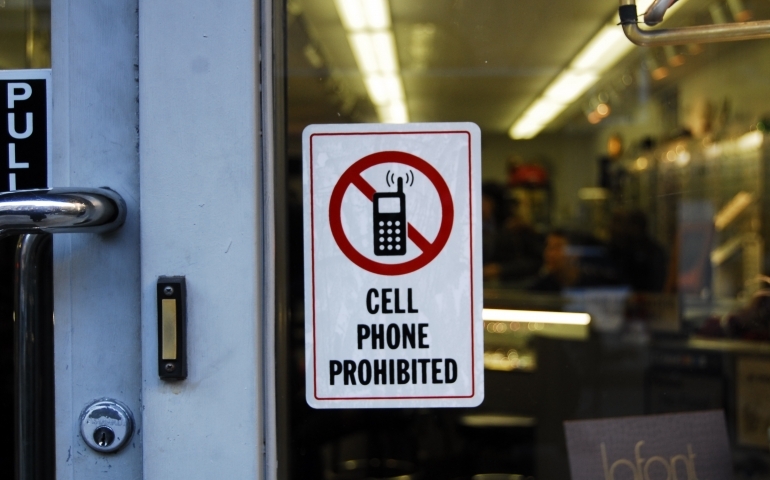 I heard from a teacher at SNU’s School for Children about her take on cell phone usage in the classroom. She explained to me that she responds to students’ diverging their attention from her lecture to their phones or laptops by using it to challenge herself to be more interesting. If she can recapture her audience on the fly with a quick-witted anecdote or a mind-blowing fact, she can take pride in delivering more interesting information than Twitter. Classrooms have made many adjustments over decades as the tools that we use evolve and improve. We have computer labs. Most teachers have personal computers to use in the classroom. Tablet use in the classroom increases. So, adjustments may be made to include smart phones in an educational way. Into every class students bring a pen, paper and, without a doubt, a cell phone. Educators can utilize students’ personal phones as the tools they are. Classrooms should change as the world changes; we are no longer etching our answers in stone. If I were to calculate how much time I waste checking various social media apps on my phone, I would be very disappointed in myself. I think about all the time that I waste that could have been used to do an assignment better than the way I did do it because I ran out of time, and that leads me to think about how much my grades would be improved if I acted on that thought. Because of all this, I get really depressed. I want to know what you think. Is your phone a major distraction for you? Do you think you could improve your life without using it so much? Do you think professors can introduce cell phones into their lesson plans? Jana likes to rap when she writes author bios. She just wants to chill, write a couple articles. Sophomore English major so she studies Plath and Poe. From Moore, Oklahoma, but was born in Kansas though. Started from the bottom now she writes for the Echo.